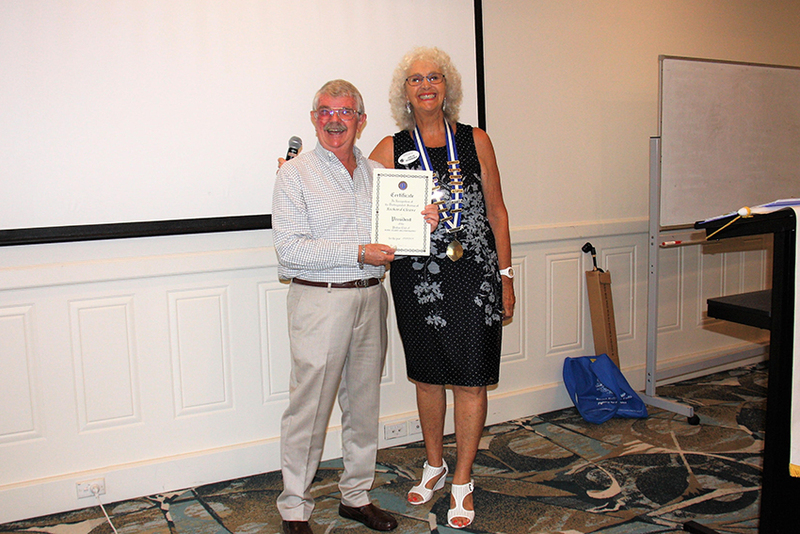 March was AGM time and pictured here is incoming President Julia Robbins presenting a certificate of recognition to outgoing President Richard Cleave. 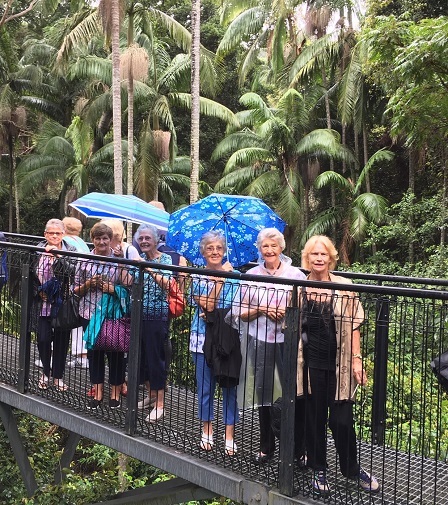 Fraser Coast-Hervey Bay Combined Probus Club travelled to Bamboo Land for their first Wine Down for 2019. That's what kept the laughter and debate flowing freely within this circle of the Burleigh Heads Ladies Probus Club members; in anticipation of attending the Comedy Revue 'Senior Moments' at HOTA Surfers Paradise. 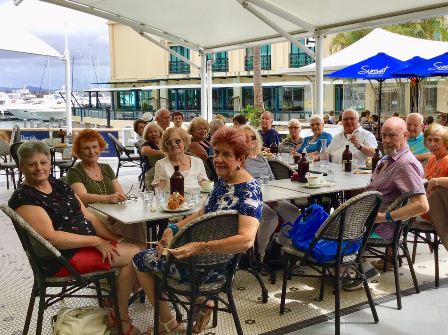 Fraser Coast-Hervey Bay Combined travelled to Bamboo Land for their first Wine Down for 2019. Sorrento Probus Club coffee morning. 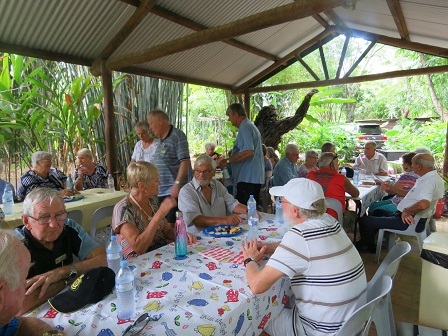 Probus Club of Currimundi Combined started their year off with Australia Day Celebrations. The Probus Club of Currimundi Combined Inc. started the year off with Australia Day celebrations consisting of a sausage sizzle and damper with lamingtons and watermelon (how Aussie is that)! 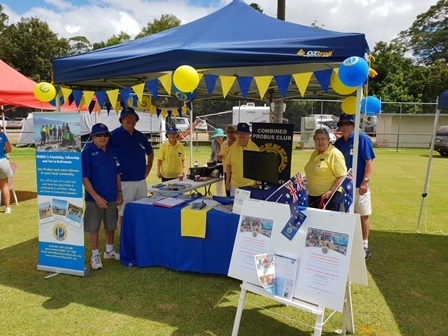 Combined Probus Club of Maleny Australia Day booth. Pumistone Passage Probus helping the community. 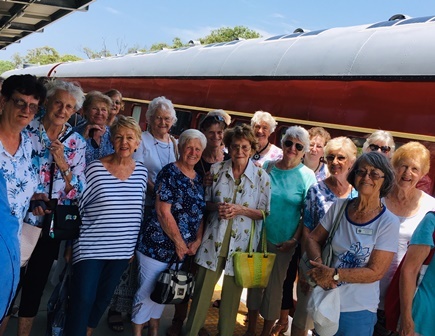 TRAINS NEVER FELT SO GOOD.That’s what the members of the Burleigh Heads Ladies Probus Club experienced when they were passengers on the "Solar Train".